Here in New Hampshire, there has been a great deal of progress in the last few years. Several bills have been introduced in the state legislature, ranging from legal hemp production to adult-use marijuana legalization, and the fight for freedom has never been more widely supported than now. New Hampshire residents overwhelmingly support marijuana legalization; in a recent poll conducted by the University of New Hampshire, 68% of New Hampshirites support full marijuana legalization, and the New Hampshire General Court is finally listening to the will of the people and is pushing for meaningful marijuana reform. There have been so far been eight major reform bills introduced in the New Hampshire General Court during the current legislative session. — Bipartisan bill HB 481 would legalize the personal adult-use, possession, cultivation, and retail sale of marijuana. It passed the House on 2/27/2019 by a vote of 209-147. It now goes to the Senate for consideration. For more information on this bill and to send a message to your State Senator in support of this legislation, click here. — Bipartisan bill HB 399 would allow those convicted of past marijuana offenses to file a petition with the court to expunge any criminal records of the possession of three-fourths of an ounce of marijuana or less. This bill passed the House on 1/31 and now goes to the Senate for consideration. — Bills SB 175 and HB 461 would expand the qualifying conditions under New Hampshire’s medical marijuana program. S. 175 would allow physicians to recommend marijuana to any patient they believe would benefit from its therapeutic use, and HB 461 would allow physicians to recommend medical marijuana to patients suffering from moderate to severe insomnia, moderate to severe anxiety, or Lyme disease. S. 175 was referred to the Health and Human Services Committee and HB 461 was referred to the Health, Human Services, and Elderly Affairs Committee on 1/03/2019. For more information on these bills and to send a message to your State lawmakers in support of this legislation, click here. — Bipartisan bill HB 459 would legalize the production of industrial hemp in the state of New Hampshire to be in compliance with current federal hemp regulations and establish rules for such production. It was referred to the Environment and Agriculture Committee on 1/03/2019. For more information on this bill and to send a message to your State Representative in support of this legislation, click here. — HB 350 would expand the number of medical professionals eligible to recommend medical cannabis by allowing physician assistants to issue recommendations to qualified patients. It was referred to the Health, Human Services, and Elderly Affairs Committee on 1/02/2019, which recommended that the bill “ought to pass with amendment” and will soon be brought to the House floor for a vote. — HB 335 would expand access to medical cannabis by allowing the Department of Health and Human Services to authorize additional dispensaries licenses in certain geographic areas of New Hampshire. It has passed the House and now goes to the Senate for consideration. — Bipartisan bill HB. 364 would permit qualified patients to grow up to fourteen marijuana plants (two mature and twelve seedlings) and to possess up to six ounces of homegrown medical cannabis for their personal use. It was referred to the Health, Human Services, and Elderly Affairs Committee on 1/03/2019. — HB 366 would expand New Hampshire’s list of qualifying conditions for the State’s medical marijuana program to include opioid dependence and withdrawal. It was referred to the Health, Human Services, and Elderly Affairs Committee on 1/03/2019. Though reform is inevitable, it will not happen without activists such as yourself making your voices heard in the name of personal freedom. We need your help to keep fighting to legalize marijuana nationwide. Please send messages in support of the bills summarized herein to spur sensible marijuana reform in the Granite State. This memorandum outlines factors that all four California U.S. Attorneys Offices (the USAOs) agree may render a particular marijuana case suitable for federal prosecution. Identification of these factors is intended to assist federal, state and local law enforcement agencies in determining whether a particular marijuana case has significant potential for federal prosecution and conducting investigations in a manner that develops the best evidence to support federal prosecution (Footnote 1). The USAOS will consider for federal prosecution cases investigated by federal, state or local law enforcement agencies that implicate federal interests as reflected in the factors. Cases investigated by federal agencies will generally be given priority over cases adopted from state or local investigations. The factors listed below are relevant to the USAOs consideration of whether a marijuana case should be prosecuted federally but the presence or absence of one or more of the factors will not guarantee or preclude federal prosecution in any case. In general the federal interest will be greater in prosecuting leaders and organizers of the criminal activity as opposed to lower level workers. The memorandum is intended as prospective guidance only, is not intended to have the force of law and is not intended to, does not, and may not be relied on to create any right, privilege or benefit, substantive or procedural, enforceable by any person or entity against any type of the USAOs, DOJ or the United States. Federal prosecution of a case of domestic distribution of marijuana should generally involve at least 200 or more kilograms of marijuana and also include additional factors that reflect a clear federal interest in prosecution (Footnote 2—This guidance for domestic distribution cases does not apply to cases involving distribution within or smuggling into a federal prison.18 USC 1791). Typically the more marijuana above 200 kilograms the better the potential for federal prosecution. Domestic distribution cases involving quantities of marijuana below 200kilograms should demonstrate an especially strong federal interest or should not be prosecuted with marijuana distribution as the sole federal charge. Set forth below is a non-exhaustive list of factors that USAOs believe indicate a federal interest in a domestic distribution case. *Distribution by an individual or organization with provable ties to an international drug cartel or a poly-drug trafficking organization. *Distribution of significant quantities to persons or organizations outside California. *Distribution by individuals with significant prior criminal histories. *Distribution by individuals with provable ties to a street gang that engages in drug trafficking involving violent conduct. *Distribution for the purpose of funding other criminal activities. *Distribution near protected locations or involving underage or vulnerable people (e.g. in violation of 21 USC 859 persons under 21, 860 near schools, playground and colleges, 861 employment of persons under 18). *Distribution involving the use or presence of firearms or other dangerous weapons including cases that would support charges under 18 USC 924c. *Distribution generating significant profits that are used or concealed in ways that would support charges of federal financial crimes such as tax evasion, money laundering or structuring. Note: Generation of significant profits alone generally will not be viewed as a factor weighing in favor of federal prosecution. *Distribution in conjunction with other federal crimes involving violence or intimidation. Federal prosecution of a marijuana case involving cultivation on non-federal or non-tribal land, indoor or outdoor, should generally involve at least 1,000 marijuana plants so that the quantity necessary to trigger the ten-year mandatory minimum sentence can be clearly proven and also include additional factors that reflect a clear federal interest in prosecution. Typically, the more marijuana above 1,000 plants, the better the potential for federal prosecution. Non-federal or non-tribal land cases involving quantities below 1,000 plants should demonstrate an especially strong federal interest or should not be prosecuted with marijuana cultivation as the sole federal charge. Federal prosecution of a marijuana case involving cultivation on federal or tribal land should generally involve at least 500 marijuana plants and also include additional factors that reflect a clear federal interest in prosecution. Cases on federal or tribal land involving quantities below 500 plants will be considered if they demonstrate a strong federal interest, if the cultivation has caused significant damage to federal or tribal lands or has occurred in an area of exclusive federal jurisdiction (Footnote 3– The USAOs will consider the totality of circumstances with respect to all marijuana plant quantities in these guidelines. For example, the presence of especially mature, large or robust plants will generally weigh in favor of prosecution while the presence of seedlings or immature plants will generally weigh against prosecution). Set forth below is a non-exhaustive list of factors that the USAOs believe indicate a federal interest that may justify federal prosecution of a marijuana case involving cultivation whether on federal, tribal or other lands. *Cultivation causing significant environmental damage, risk to human health or interference with particularly sensitive land or significant recreational interests, ie damage to wilderness area or wildlife, danger to innocent families using a recreation area or use of toxic or dangerous chemicals. *Cultivation by an individual or organization with provable ties to an international drug cartel or poly-drug trafficking organization. *Cultivation of significant quantities on behalf or persons or organizations outside California. *Cultivation by individuals with significant prior criminal histories. *Cultivation by individuals with provable ties to a street gang that engages in drug trafficking involving violent conduct. *Cultivation for the purpose of funding other criminal activities. *Cultivation involving the use or presence of fire-arms, booby traps or other dangerous weapons including cases that would support charges under 18 USC 924c. *Cultivation generating significant profits that are used or concealed in ways that would support charges for federal financial crimes such as tax evasion, money laundering or structuring. Note—generation of significant profits alone will not be viewed as a factor weighing in favor of federal prosecution. Given California state law, prosecution of marijuana stores or “dispensaries” purporting to comply with state law face additional challenges. Federal prosecution of a case involving a marijuana store should generally involve a) provable sales through seizures or records of over 200 kilograms or 1000 plants per year. b) sales clearly in violation of state law, eg sales to persons without legitimate doctors’ recommendations, side-sales occurring outside of the store or shipping to persons outside of California (Note—selling for profit, though a violation of state l aw, typically alone will not alone satisfy this requirement), and c) additional factors that reflect a federal interest in prosecution. Set forth below is a non-exhaustive list of such additional factors. Nothing herein should be taken as a limitation on investigation by federal law enforcement to determine the existence of these factors. However, search warrants or other more intrusive investigative techniques directed at marijuana stores should be closely coordinated with the USAOs. 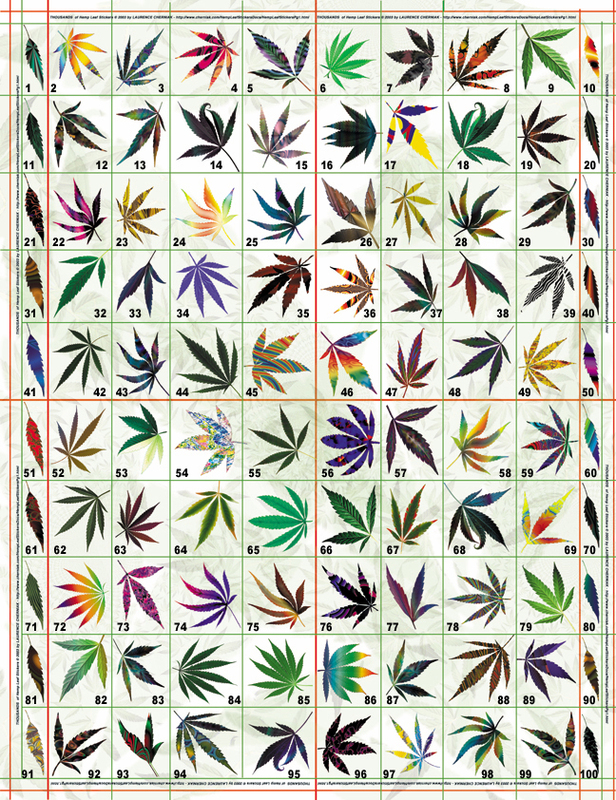 *Marijuana “inventory” obtained from cultivation on federal or tribal land. *Targets involved in cultivation or distribution outside of the dispensary that merits federal prosecution based on consideration of factors set forth in sections 1 and 2 above. *Targets using profits from the dispensary to support other criminal activity. *Store linked to physician providing marijuana recommendations without plausible legitimate justification, eg doctor on site providing recommendation with no on-site examinations or legitimate medical procedures. *Targets have significant prior criminal histories. *Targets have provable ties to a street gang that engages in drug trafficking involving violent conduct. *Store operations involve the use or presence or firearms or other dangerous weapons including cases that would support charges under 18 USC 924. *Store operations in conjunction with other federal crimes involving violence or intimidation. *Significant forfeitable assets clearly traceable to marijuana trafficking in violation of federal criminal law that would merit federal prosecution based on consideration of factors set forth in sections 1-3 above. *Significant forfeitable assets clearly traceable to non-marijuana related violations of federal law such as structuring or money-laundering. Large scale “medical marijuana” cultivation operations that 1) are operating in violation of state law 2) involve real property that has been the subject of a warning letter or similar prior notice or 3) involve real property that has been the subject of a prior forfeiture proceeding arising from marijuana cultivation or a property owner who has been a claimant in such proceedings or individual targets not subject to criminal prosecution eg fugitives or persons whose involvement in marijuana trafficking is too marginal to justify criminal prosecution including off-site land lords and non-resident owners falsely claiming ignorance of tenant’s marijuana trafficking. It was a curious coincidence last month, that as PBS was broadcasting the Ken Burns/Lynn Novick documentary, Prohibition, describing the Hoover Justice Department’s last-gasp crackdown on alcoholic beverages in the late 1920s, prosecutors in the Obama Justice Department were announcing a crackdown on medical marijuana in California, threatening to confiscate the property of people “involved in drug trafficking activity,” which is fedspeak for providing pot for sick people. Ironic kudos to Political Rhetoric graduate student ‘Steve’ from the University of Maryland for asking President Obama last Friday a spot on and searing rhetorical question from the Millennial generation about our country’s need to end the nation’s longest war…the failed war on some drugs. Steve gets it. The audience gets it. According to all polling, in excess of 90% of U.S. citizens broadly believe the ‘war on drugs’ is a failure (75% support medical access to cannabis. 73% support decriminalizing adult possession for cannabis; and 46% support cannabis legalization outright). When will the two major political parties and presidents—like Obama—get it? According to polling last week, President Obama is quickly falling out of favor with the Millennial generation that helped sweep him to power in 2008. Lest President Obama forget who brought him to the dance, he might want to look at the clear discontent—across all party lines—with the way the federal government has been conducting drug warring, notably its full-throat perpetuation of antiquated and tax-draining Cannabis Prohibition policies. Instead, he should deliver a clear message for supporting a system of legally controlling cannabis, rather than deny economic reality, waste taxpayers’ money and constantly face embarrassing questions about a failed public policy that has long festered in the public’s mind. President Obama should endorse a ‘drug peace’ where cannabis is legally controlled like alcohol products; patients can access a safe and non-toxic naturally occurring medicine; and farmers, entrepreneurs and consumers in America can benefit from industrial hemp production. President Obama, NORML and tens of millions of cannabis consumers and lovers of liberty ask you not to re-commit us to war against ‘weed’, but, instead, to re-think the leaf. Watch the video from MSNBC, broadcast July 22, 2011 here.